Urban homesteading can be tough. You want to become self-reliant, but instead of being surrounded by farmland, you're surrounded by concrete. So what's a poor city dweller craving the rural life to do? The good news is there are ways you can be self reliant, even when living in town. 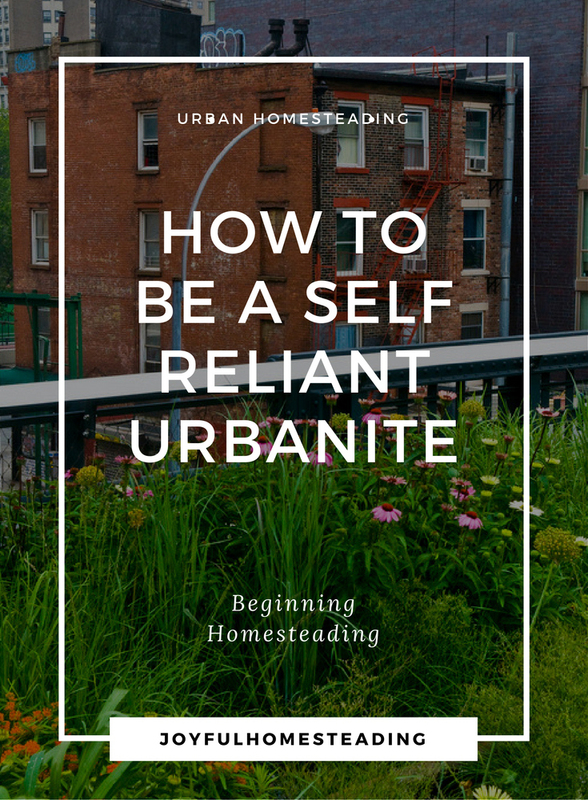 The secret is to have a heart for homesteading, start cutting costs and save money for that day when you really will own your acreage in the country. Think you really need a patch of dirt to grow vegetables? Think again. Growing vegetables like tomatoes, lettuce, squash and potatoes can be done just as easily in barrels, pots or even a burlap bag or bale of hay. Better still, container gardening is ideal for urban homesteading and those new to gardening. You have fewer plants to deal with, less weeding and less upfront expense and time. With proper planning you can grow quite a few things in a small space, even if all you have is a balcony. Grow zucchini and strawberries from hanging baskets and keep patio tomatoes in small tubs. Using a solar oven cuts back on electricity costs and keeps your home cool in the summer. Making use of solar power is a great way to cut down on utility costs, especially in the summer when turning on the oven puts an extra strain on your air conditioner. As long as you start them early in the morning, solar ovens are easy to use and a boon to urban homesteading. An urban homesteading friend of mine hatched chicks from fertilized eggs using an electric skillet set on low, a small cup of water to keep the air inside the skillet moist and a towel to cushion the eggs. Three of the eggs hatched and two of the birds survived to adulthood. She now keeps these two hens in her backyard. When they are old enough these birds will supply her with eggs on a daily basis. 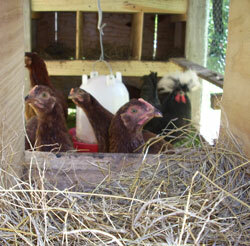 Check the rules and regulations of your city, but most will allow city dwellers to keep up to six hens. A good idea for anyone, but essential for urban homesteading. Learn to cut back now, and while you are at it, get rid of the extra clutter in your life. Homesteading no matter where you're at means learning to make do with what you have instead of running to the store all of the time. Do you really need those three television sets? How about that large wardrobe of clothing? Being creative with items on hand now will prepare you for the day when you live in a rural area that is far away from the discount store. Buy a good quality grain mill and then buy bulk grains to make your own healthy, fresh and low-cost breads and pastas. It's a great way to stay away from the grocery store, where you are likely to make impulsive, extra purchases of items you do not really need. Buy a grain mill and then go online to order storable foods and a sufficient amount of wheat and other grains to last you a year. A good, low-cost place is here. Better yet, find a local coop that sells organic grains in bulk and save on shipping costs. Store that grain in the closet you just emptied of all those extra clothing you never wear anyway. I make my own homemade laundry soap all the time. All I do is grate up a bar of soap, put in a half-gallon jar and then add a cup of washing soda and a cup of Borax. Simple. It's not fancy, but it gets the job done. Instead of buying processed food, make things from scratch. Look for simpler ways of doing things without spending a lot of money. That's homesteading at its finest. Follow these tips, start saving a little each month, and you'll be moving to the acreage of your dreams in no time. Are you keeping a small flock of hens in your backyard? 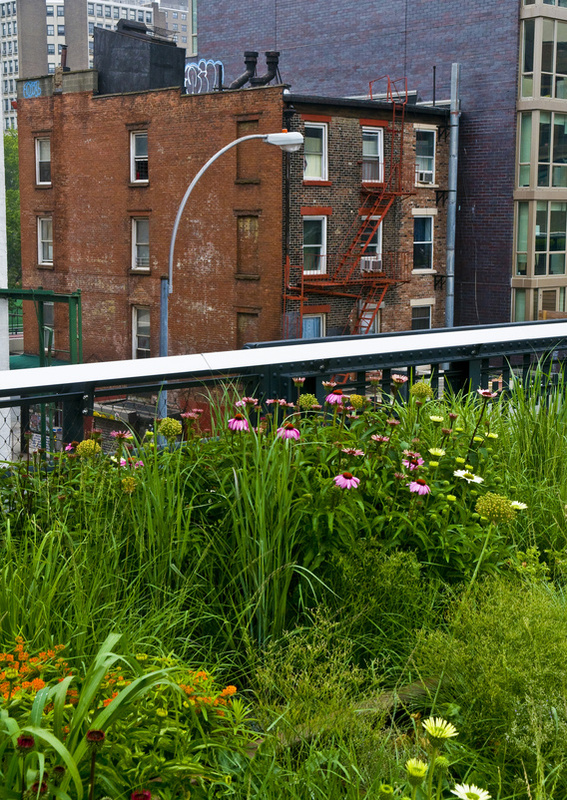 Growing a garden on your balcony? Canning tomatoes you found at the farmer's market? Proudly share it with other readers at Joyful Homesteading! I have seven dwarf fruit trees and a vegetable garden. I also grow edibles in with my flowers. I have an herb garden and raise honey bees.